Ford has unveiled this week in Frankfurt the Mondeo Vignale concept which announces a new range-topping trim. Vignale will be available from 2015 at first on the new-gen Mondeo/Fusion and then on the S-MAX and Edge. 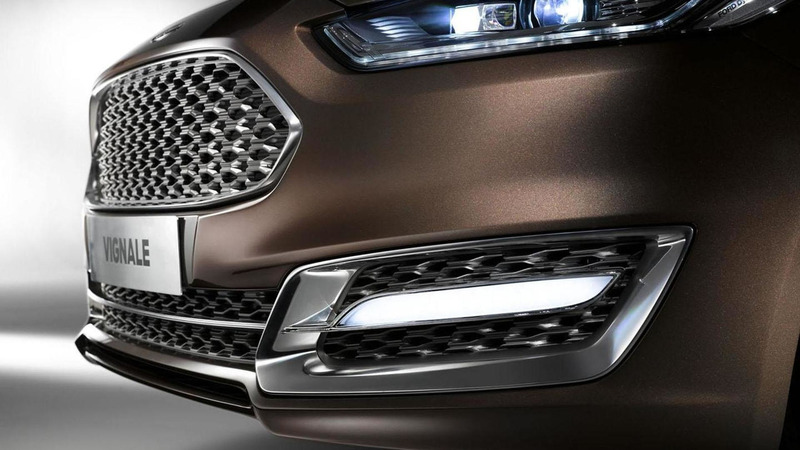 It will be slotted above the Titanium X trim and promises to offer more luxurious amenities both inside and out for those who want a more premium Ford. The Blue Oval company says it was designed for "10-15 percent of potential buyers who want an ever higher specification." 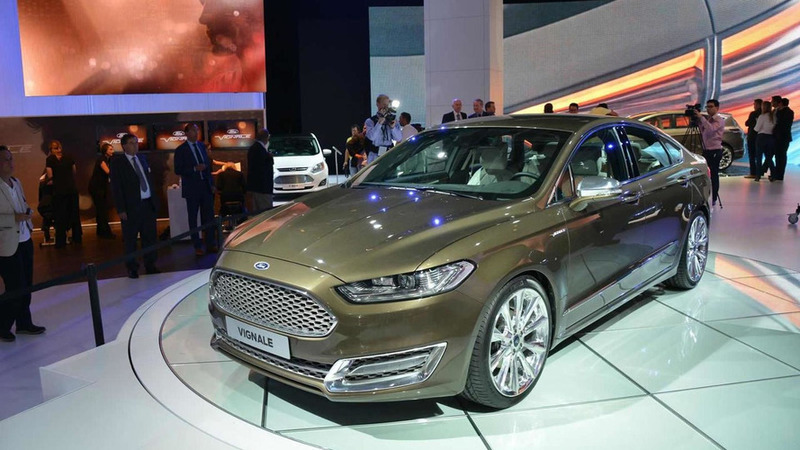 Ford is showcasing at IAA in Frankfurt a four-door Mondeo Vignale sedan concept featuring a bespoke exterior paint scheme with elegant 20-inch alloys and a chrome finish on the door handles and mirror caps. Inside it gets upper-spec leather upholstery matched with a leather-wrapped steering wheel, instrument panel and center console. It also boasts a Vignale-branded storage drawer in the trunk and comes with built-in Wi-Fi and front/rear Park Assist with Rear View Camera.